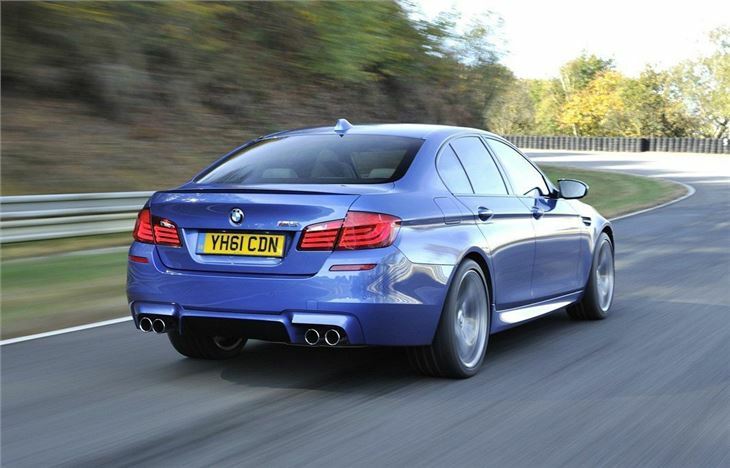 Immense twin-turbo 560PS V8 engine has more power than outgoing M5 yet improved economy. 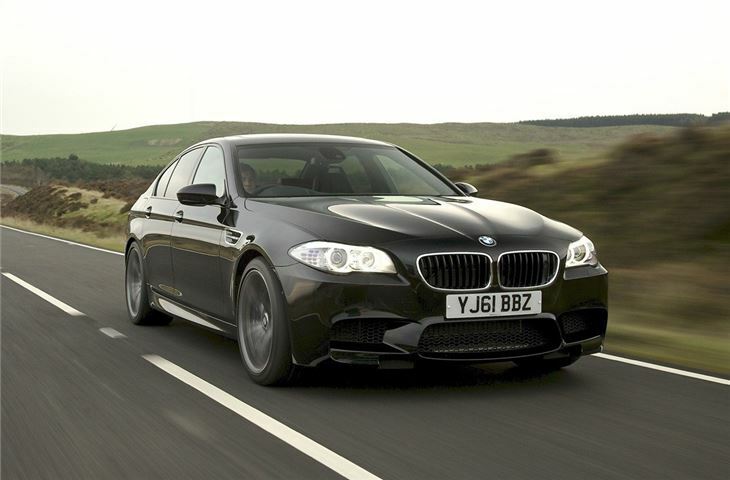 Thunderous performance. 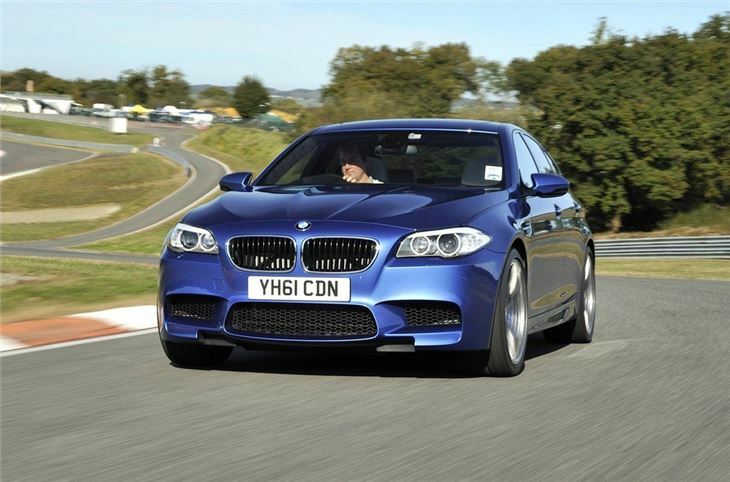 Huge amounts of grip and excellent brakes. 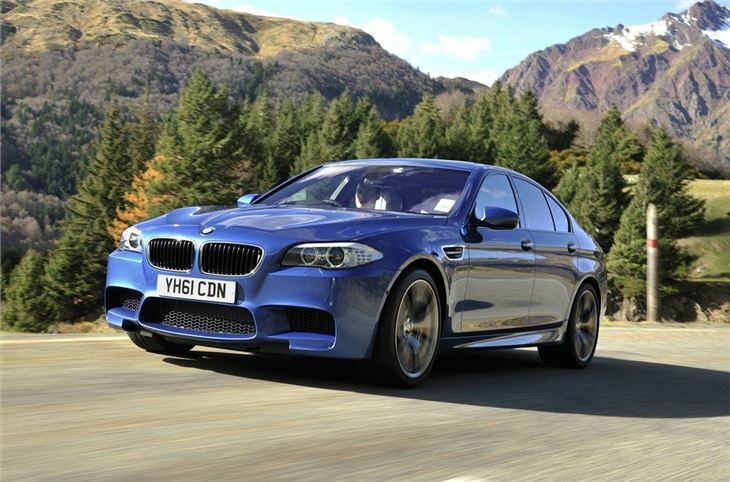 Not cheap at £73,000 and Competition Edition an eyewatering £100,995. 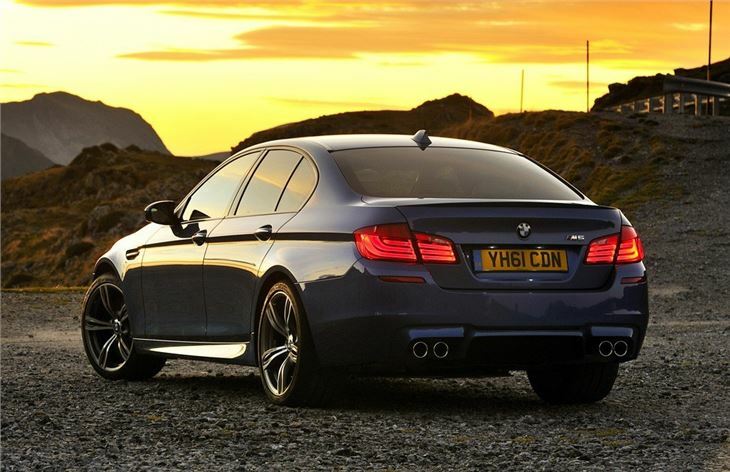 At a time when the motoring world seems focussed on green cars and low emissions, it's surprising that high performance saloons are still around at all. And yet if anything, there is more choice than ever. 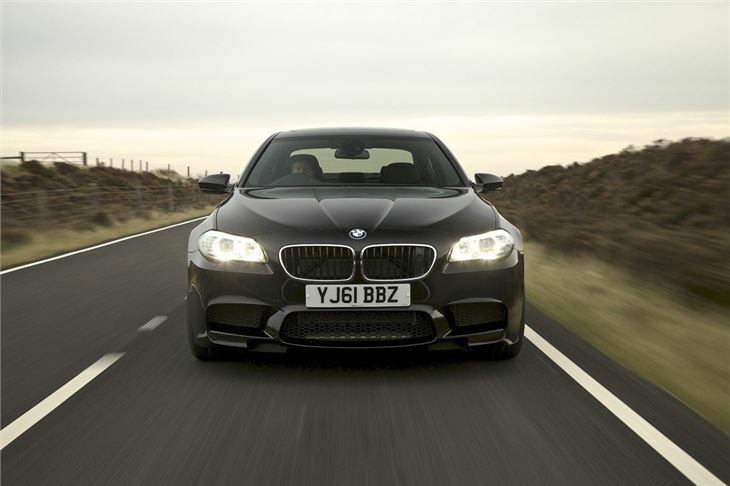 From the Audi RS6 to the mightily impressive Jaguar XFR, if you want a rapid large four-door car, there are plenty to choose from. 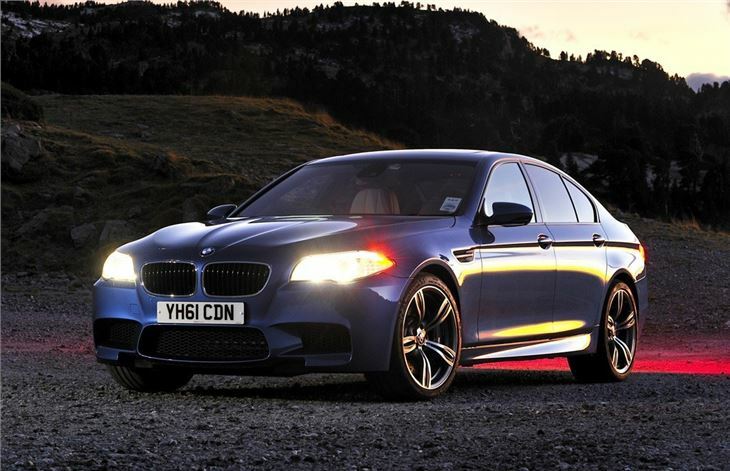 Yet one name still stands out - the BMW M5. 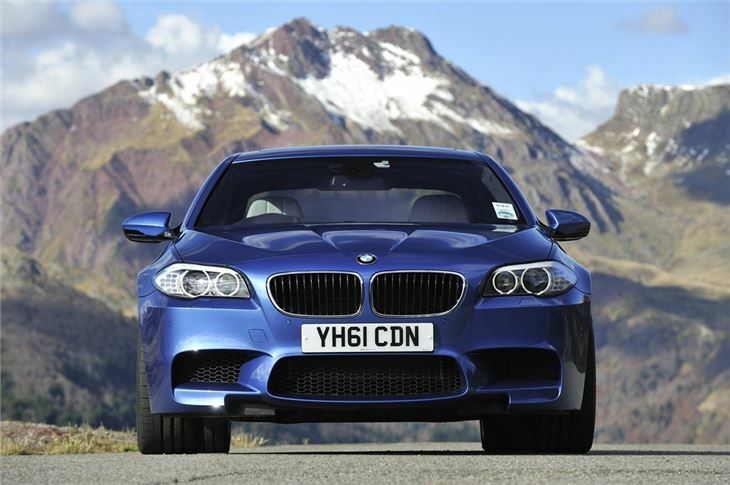 It has a heritage stretching back to the mid 1980s and has become revered as one of the best - and fastest - cars on the road. 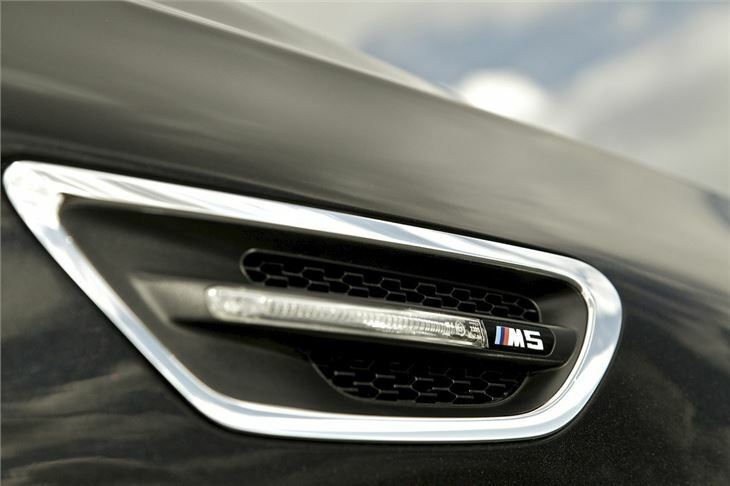 This is the fifth generation of the M5 and it continues that tradition with even more power than before - 560PS to be precise - which makes it the most powerful production car BMW has ever built. 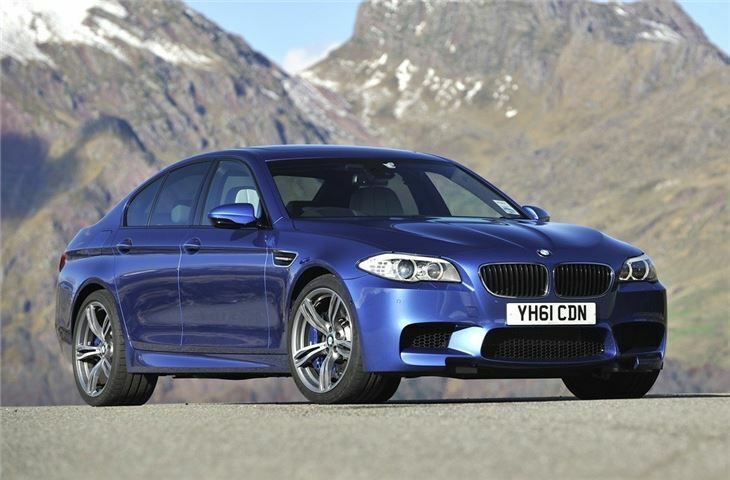 The big news is that it's fitted with a twin-turbocharged V8 rather than the 5.0-litre V10 of the outgoing M5. 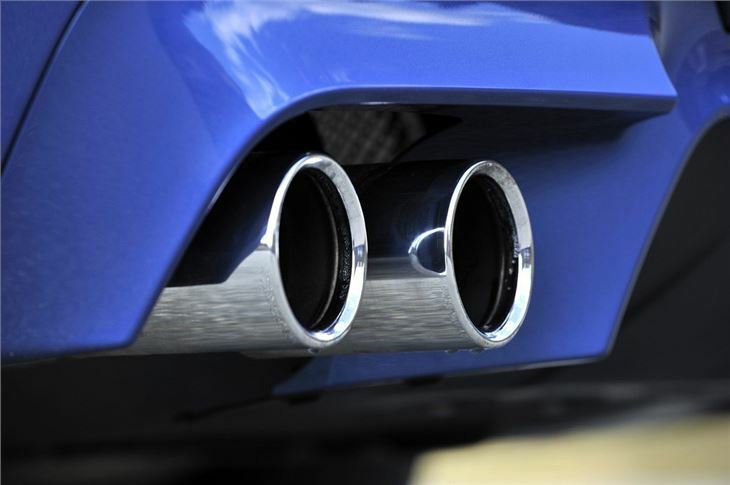 Purists will welcome the move back to a V8 (even if it is a turbocharged unit) and it also means a considerable improvement in fuel economy along with lower emissions. 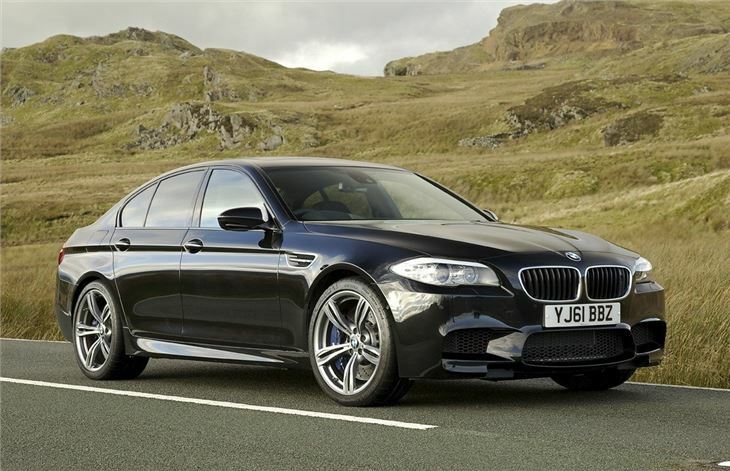 The outgoing M5 is only capable of 19.6mpg with a CO2 output of 344g/km - and that's according to the official BMW figures. 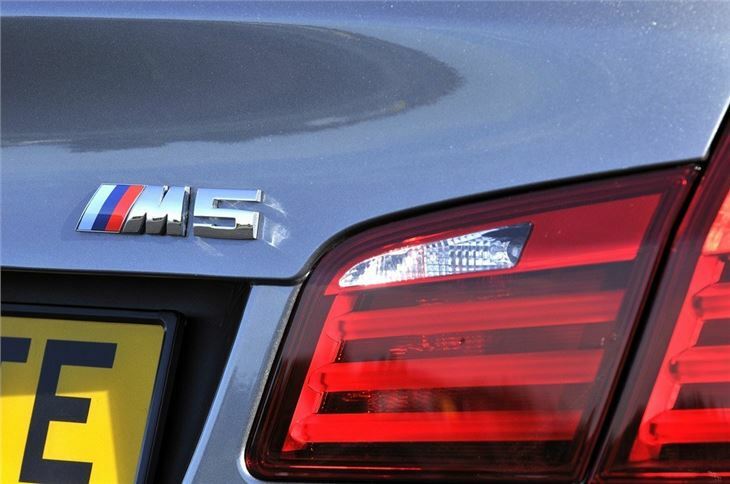 This new model returns a claimed 28.5mpg meaning you'll spend far less time fuelling it up, while emissions are cut to a much more respectable 232g/km. 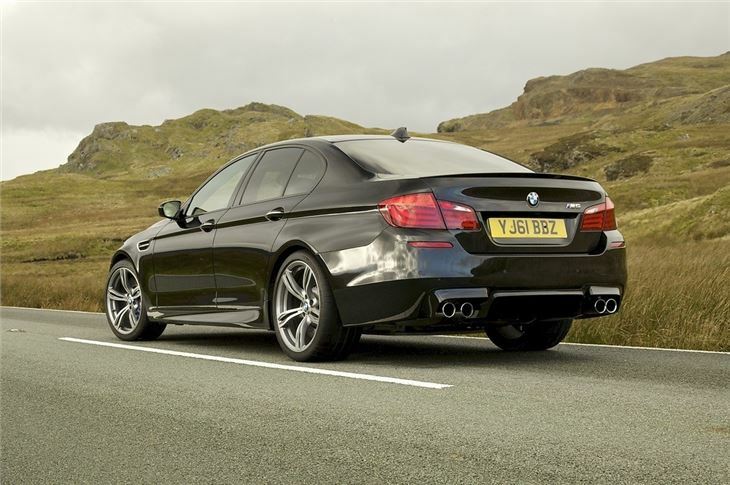 Being fitted with twin turbochargers means more low down torque, making the power of the new M5 more accessible in everyday driving. 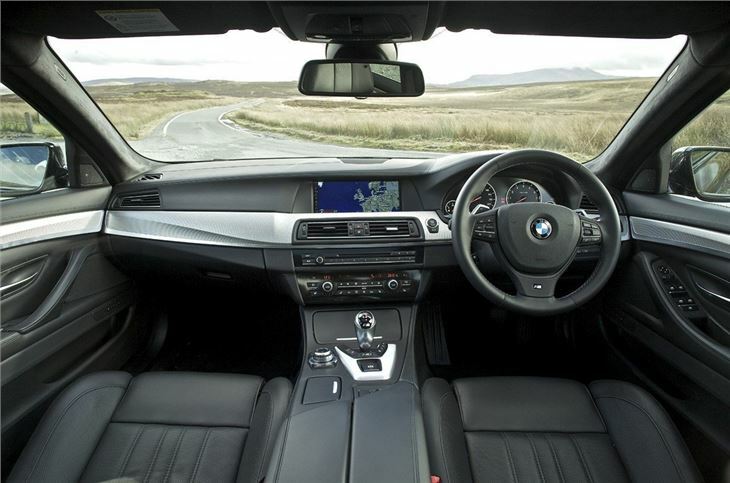 It's fitted with a new seven-speed automatic gearbox with two clutches to provide super-fast gear shifts. 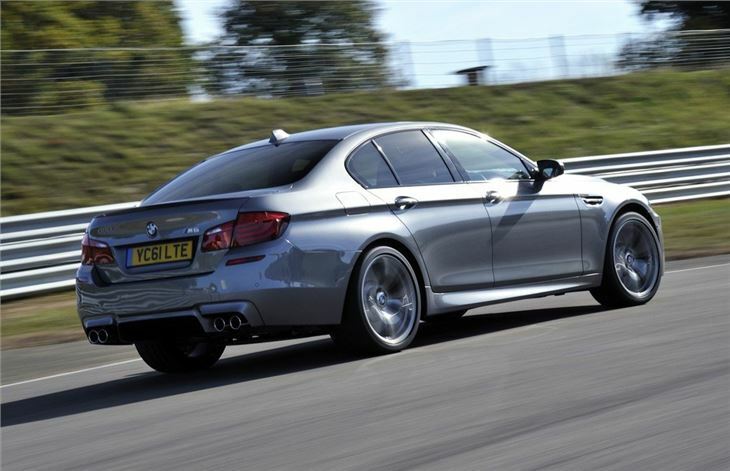 It's docile and relaxed at steady speeds, yet snappy and aggressive when you want it to be. 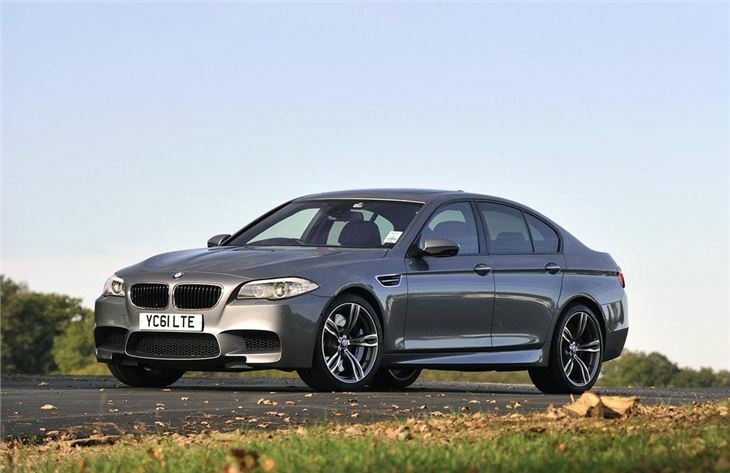 The M5 is not especially cheap to buy new with a price tag of £73,040 but it stands head and shoulders above any other performance saloon and is better than plenty of cars that cost considerable more. The key to its success is its all round ability. 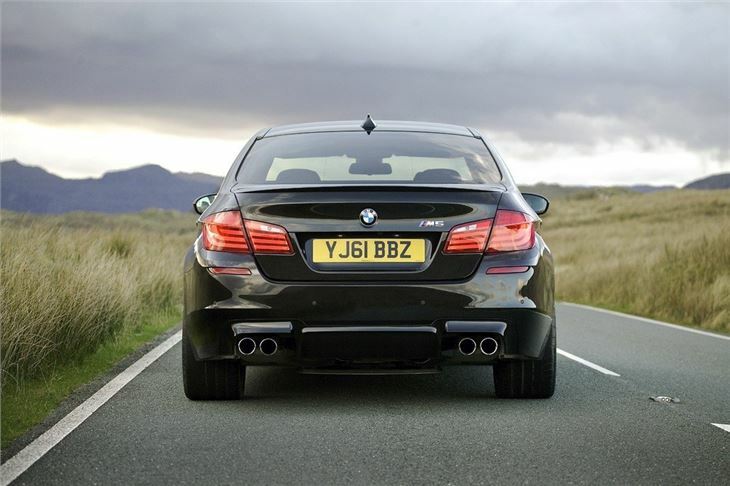 It's just as comfortable sitting in traffic or cruising on the motorway as it is tackling tight bends and twisting roads. Add to that the immense performance, a great V8 sound plus superb handling and it's easy to see why the M5 is such a success.